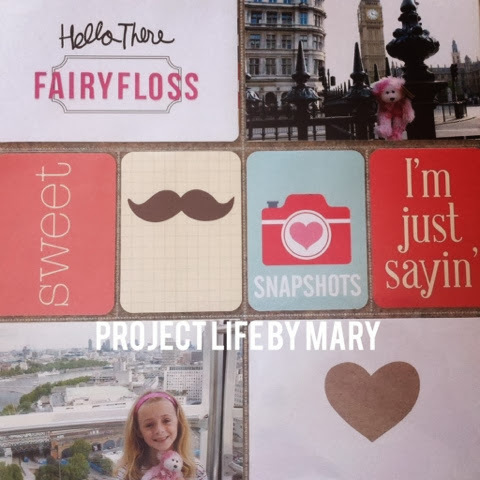 Mary, my 14yo, took to making a scrapbook layout using the Project Life core kits, like a duck takes to water. She chose cards from the core kits Honey, Kraft and Midnight editions and combined them into what I think is a fab design. The photos she used are from 2006 taken in London with her travelling Beanie Kid, Fairy Floss. What do you think?